Former Kings defenseman Slava Voynov has not played in the NHL since October 2014, when he punched, kicked, and choked his wife, and pushed her head into a TV screen. Voynov pleaded no contest to a charge of spousal abuse, served 90 days in jail, was suspended indefinitely, and had his Kings contract terminated. Rather than face potential deportation proceedings, he moved back to his native Russia, where he won a Gagarin Cup in the KHL and a gold medal at the 2018 Olympics. Voynov’s conviction was dismissed last summer after he completed his three years of probation, and now he’s considering returning to the NHL. He’s going to have to wait a while longer for that. 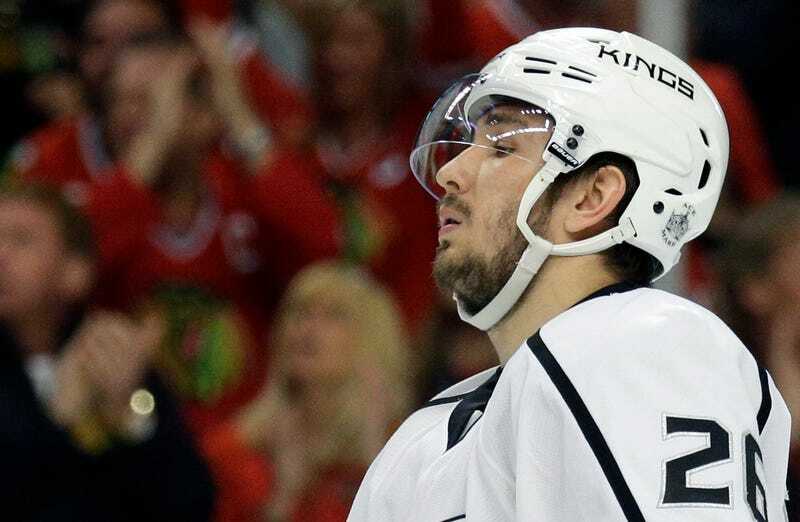 Today, the NHL announced that Voynov will be suspended for all of next season. The National Hockey League announced today that defenseman Slava Voynov has been suspended for the entire 2019-20 NHL season (including Playoffs) for unacceptable off-ice conduct. Voynov’s eligibility to play in the NHL will be restored (assuming good behavior) no later than July 1, 2020. Voynov will be 30 years old when he’s eligible to play, and will be a free agent. If anyone wants to sign him.